One 18 karat yelow gold ring. 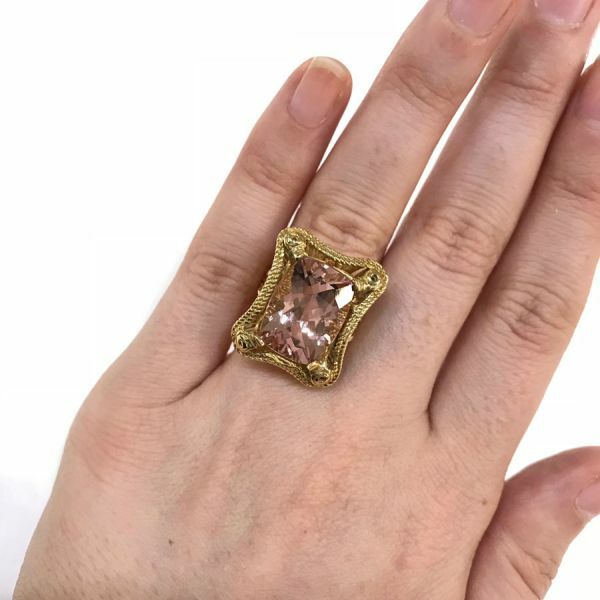 One morganite (11 carats). Made in Italy.